1)Fill the form out and add a message if you wish. 2)Then add it to cart and checkout. 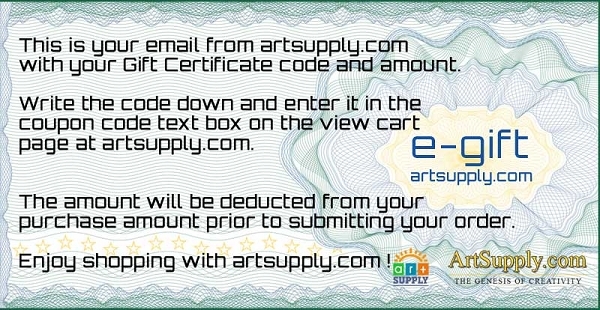 3)Your recipient will get a code to use online at artsupply.com to redeem the certificate including your name and message. 4)You will get an order confirmation.